(Toronto, Feb 10, 2015) Ontario winters bring challenges to be overcome, none less welcome than a furnace that has stopped working on a cold night. Every winter after a large snowfall, people call GreenSaver seeking advice about new furnaces after theirs has quit. One of our first questions, especially when it involves a newer furnace - are your intake vents clear of snow? 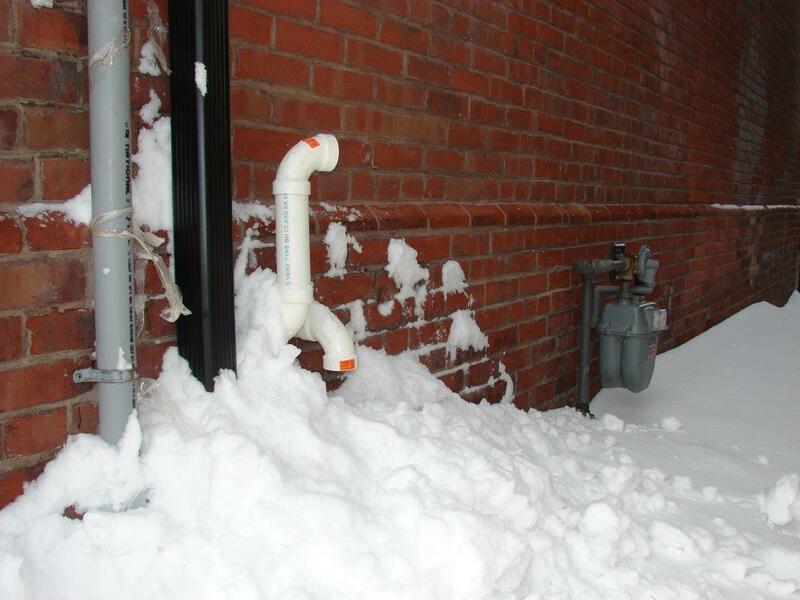 Snow sliding off roofs or wind driven into drifts can bury a furnace air intake pipe. Furnaces need air for combustion and heat, a buried or blocked intake vent means little or no air is available. A common symptom is your furnace continuously going into the start-up cycle, but never actually turning on. So before making a panic phone call for furnace repair in the middle of the night, go outside and check that the air intakes and outlets for your furnace are clear of snow. The same problem can occur with gas water heaters. In most instances the solution is simple, clear the snow from around the intake. Better still, erect a shelter or wind break that will keep the area clear of snow, but allows air flow. Stand by the furnace and look for a black or white pipe (not the metal ducts going to household heat vents) going from the furnace through an outside wall. Make a note of where it goes through the wall and then go outside to where you think they will be. In most homes, they will stick out a several inches out from the basement wall or the side of the home. Some pipes even extend up the side of the home; these will often have a curve near the end, unlike a dryer exhaust which is often flush with the wall. Once you've found the intake or outlet vents, simply remove the snow from the area. Make sure that no snow, ice or other foreign objects have plugged the pipe. With the snow cleared away, air is now available and the furnace will often start automatically. If not, furnace starting instructions are often stuck to the exterior or inside of the access panel. Installers often leave the furnace manual in a plastic bag near the unit, look up on a nearby beam or joist. It is not only snow that can strangle a furnace, a very dirty filter can cause the same symptoms as a blocked intake vent. If the furnace still fails to start, and you don't have a regular service person, the company that installed or maintained the furnace will likely have affixed a tag or label with their name and phone number. This is a good place to start when looking for more assistance. A dirty air filter is a year around issue. 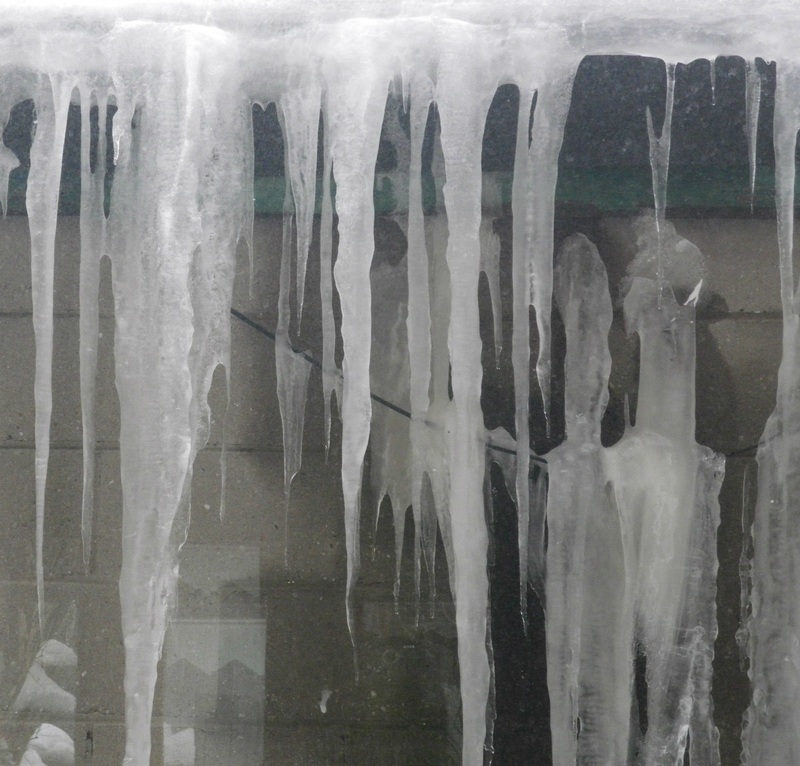 Starved for air your furnace cannot operate efficiently or may even fail to start. Even a moderately dirty furnace filter reduces air flow making the furnace fan work harder; clean filters can save up to 5% of total electricity use. Make a note of the filter size which appears on the edge of the filter, buy in bulk and replace them regularly. Many people write the date on the edge of the filter to act as a reminder of when to do it next. 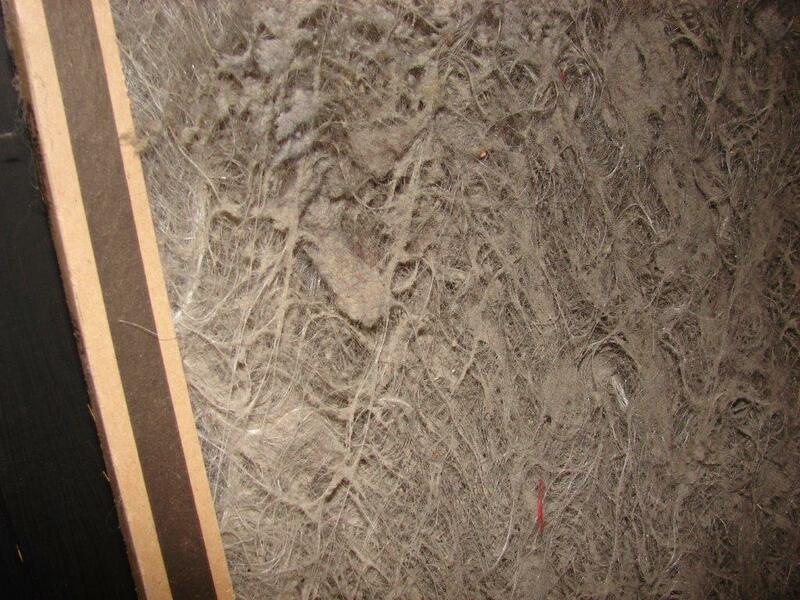 GreenSaver recommends cleaning or replacing your furnace air filter each month during the heating season. GreenSaver delivers the completely free Home Assistance Program (HAP), in cooperation with local power companies. HAP provides free energy home improvement retrofits to reduce the utility bills of lower income Ontarians in most parts of Ontario. To learn more about the HAP program and whether you qualify, call 416 203-3106. There are many different incentive programs for energy efficient household heating and lighting upgrades. You can hire a GreenSaver Building Diagnostics professional to conduct an energy audit and make recommendations on how to reduce your household energy usage most cost effectively.‎ So if you think you need wall or attic insulation, and want to avoid seeing icicles on your eaves and big utility bills in the mailbox, call GreenSaver. But in the meantime, watch out for that snow creeping up your furnace vents! For more information about GreenSaver, visit www.greensaver.org or call 416-203-3106. To schedule print, radio or TV interviews, please contact Michael Zupanic at 416-972-7404. GreenSaver is an independent non-profit corporation dedicated to environmental energy efficiency. They have pioneered Ontario residential energy conservation for 30 years with economically viable and environmentally friendly measures to help individuals and organizations with their energy need (www.greensaver.org).